Note: There are delivery problems with this product. The 156 bench by freistil is a minimalist oak bench that stands out and impresses with its craftsmanship details such as the tapered legs. The freistil design team was inspired by furniture from the Christian Shaker community dating back to the 18th and 19th century. Known for their shaking and austerity, these devout communities designed special furniture for their settlements over the centuries. The furniture is characterised by a minimalist style, high quality craftsmanship and the absence of unnecessary frills. The furniture demonstrates that solid wood and lightness do not have to be conflicting concepts. The 156 bench is made entirely of solid oak with an oiled finish. The series also includes a dining table and matching seat cushions that increase the seating comfort. 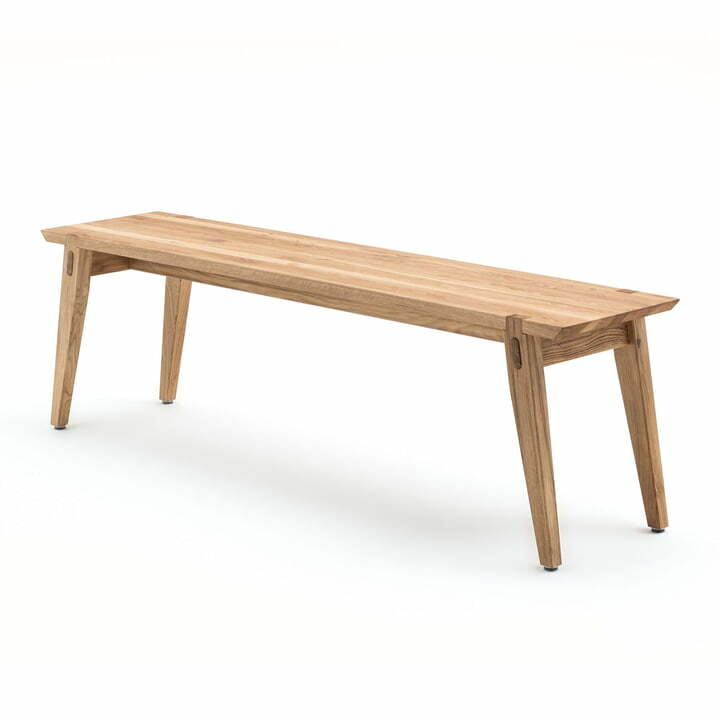 Isolated product image of the 156 Bench 160 x 36 cm by freistil in oak. 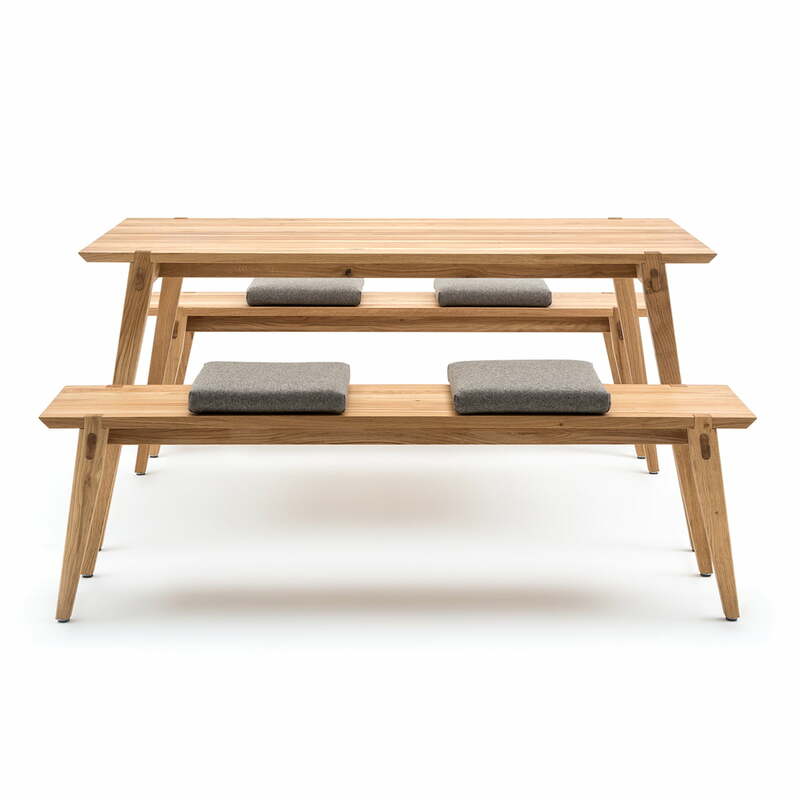 Isolated product image of the 156 bench by freistil: The simple and minimalist bench made of oak wood is characterised by handcrafted details and tapered legs. 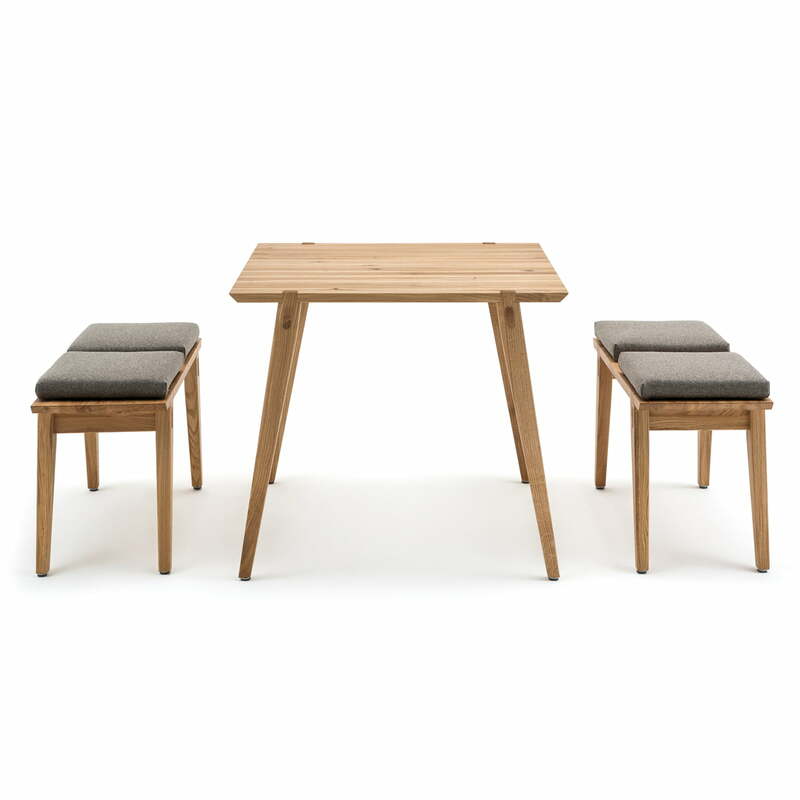 Group product image of the 156 Dining Table, Bench and Cushions by freistil: In addition to the dining table, the 156 series also includes a matching bench and cushions of various sizes. 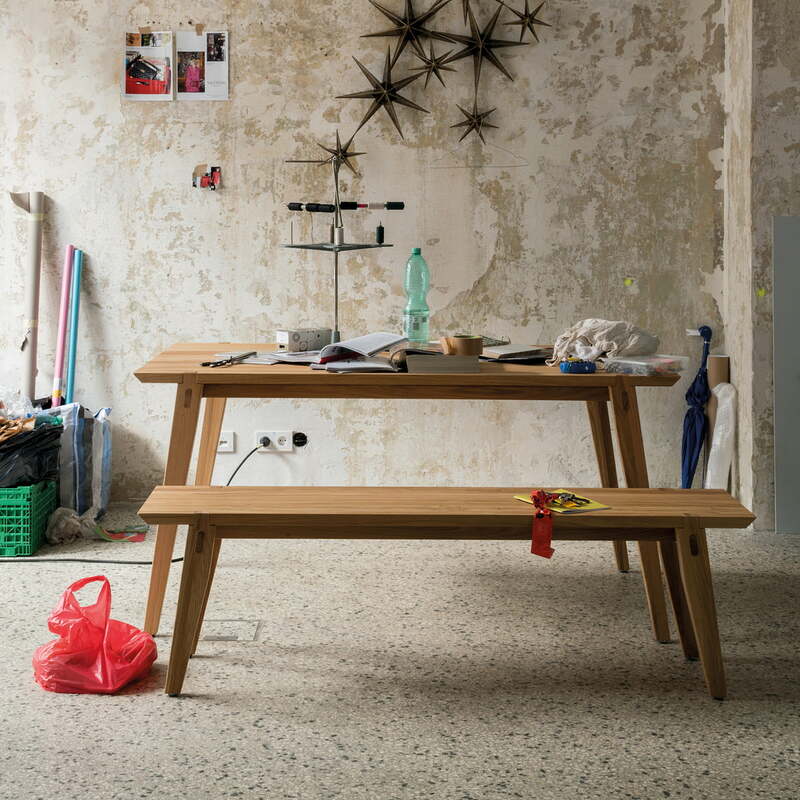 Group product image of the 156 dining table, bench and cushions by freistil: The surface must be oiled from time to time and traces of wear can be repaired by sanding and re-oiling. Lifestyle product image of the 156 series: The series was inspired by the simple and minimalist furniture from the christian Shaker communities dating back to the 19th century.